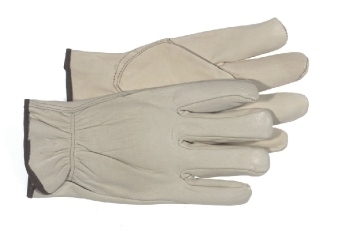 This select side split leather palm glove has a safety cuff and is available in size large. 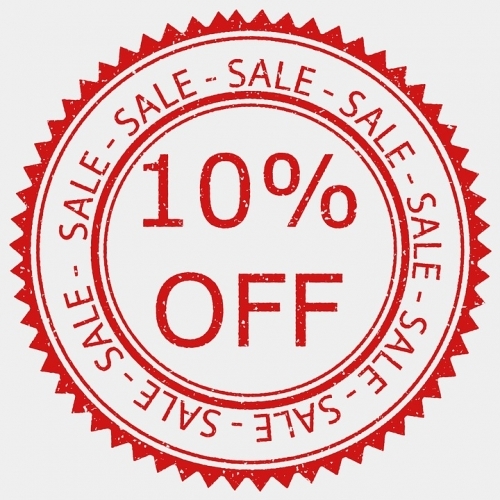 Durable split leather offers good abrasion resistance.&nbsp; Wing thumb provides ease of movement and longer wear.&nbsp; Breathable cotton back for ventilation.&nbsp; Rubberized safety cuff with shirred elastic wrist provides&nbsp;extended wrist protection and a secure fit. Smoke brown split leather, size medium. 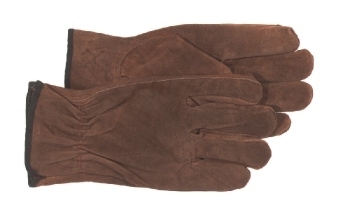 This glove is made of smoke brown split leather and comes in size large. Spandex back and a velcro closure at the wrist. Goatskin palms. Red fleece lined 100 percent cotton jersey. Gunn-cut design with open cuff. 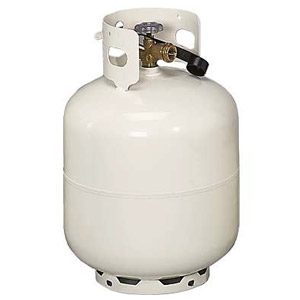 Size: Large. 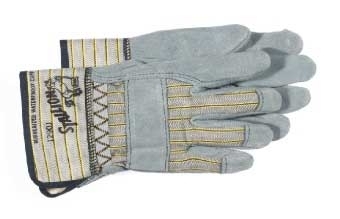 This glove is made of grain leather with a keystone thumb and is available in medium size. 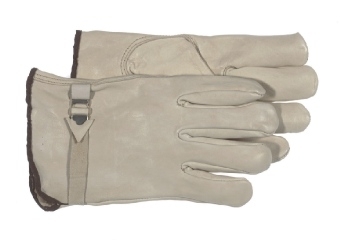 This glove is made of grain leather with a buckle and strap fastener and comes in size large. 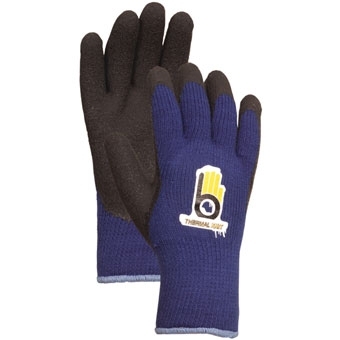 This glove is made of grain leather with a keystone thumb and is available in jumbo size. Premium grain Deerskin, unlined driver with keystone thumb, shirred elastic back and self hemmed open cuff, size large. 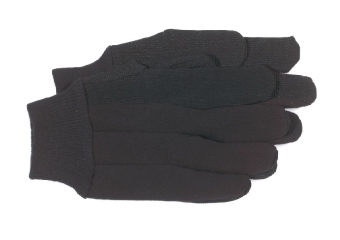 This glove has plastic dot palm and index finger for better gripping and a knit wrist for added comfort. 18 ga. Nitrile Gloves. Embossed grip, straight cuff, 13 in. long. 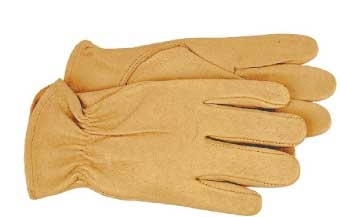 This glove is made of grain pigskin with a keystone thumb and is available in size large. 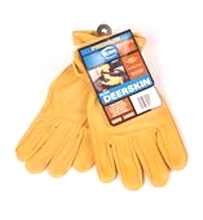 This glove is made of grain pigskin with a keystone thumb and is available in a medium size. 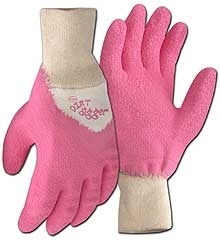 Ladies goatskin leather gloves, Velcro closure, spandex back. Jersey, plastic dot palm, knit wrist. 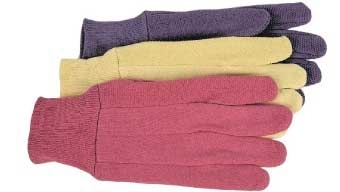 This jersey glove has knit wrist with plastic dot palm for better gripping. 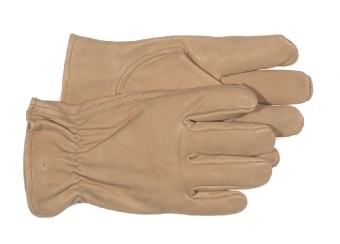 This ladies&#39; glove is made of grain pigskin with a safety cuff, perfect for severe wear. This ladies&#39; glove is made of grain pigskin. 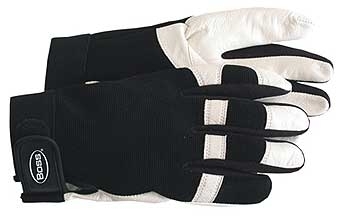 14 inch long, jersey lined PVC gloves, fully coated black, double dipped, sandy grip, size large. 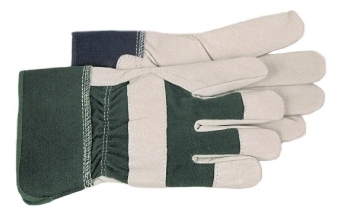 The perfect gardening and general purpose glove. With extra textured rubber coating for more protection and a solid grip. Precurved, seamless fingertips for comfort and longer wear. Absorbent interlock cotton lining. Absorbent interlock cotton lining. Knit wrist keeps out mud and dirt so hands stay clean. 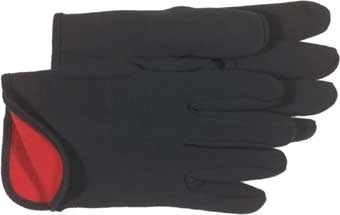 Smooth grip neoprene, fully coated, black, industrial weight, interlock lined, knit wrist. Size large. 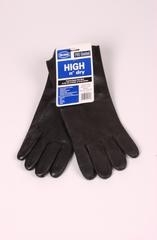 Heavy duty 7-guage seamless acrylic thermal knit liner with durable textured natural rubber palm coat. 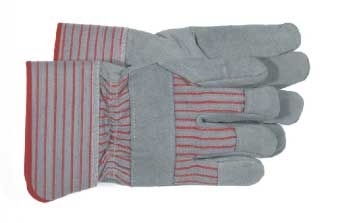 Comfortable, cozy work glove. 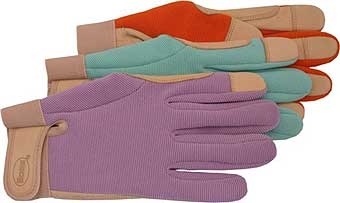 Gloves made from bamboo fibers are naturally antibacterial, UV protective, biodegradable, cool, and durable. 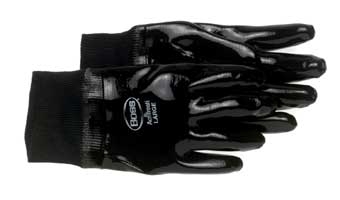 Air-infused natural rubber palm coating protects hands and enhances grip.